A photograph purportedly showing Donald Trump's "solid gold toilet" is actually a picture of a former palatial bathroom in Hong Kong. 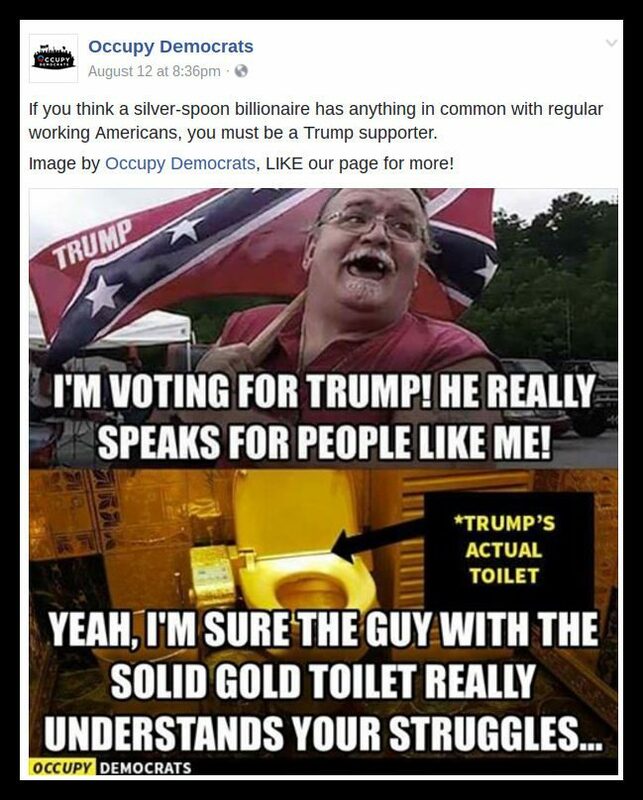 A photograph shows Donald Trump's solid gold toilet. When Donald Trump purchased the Northeastern air shuttle service in 1989 and rebranded it as Trump Shuttle, he aimed to reposition the shuttle as a luxury service. Accordingly, he had all the aircraft exteriors repainted and the interiors redecorated with features that included maple wood veneer, chrome seat belt latches, and gold colored lavatory fixtures. However, those lavatory fixtures were only gold in color (not content), and it’s not one of them that’s pictured here. Donald Trump’s Fifth Avenue penthouse in the Trump Tower includes many nicely gilded furnishings (including a “5-star bathroom“), but no solid gold toilet. Likewise, his private jet features gold-plated sink fixtures in one bathroom, but no solid gold toilet. Jeweller Lam Sai-wing built a HK$27 million (£2.4 million; $3.5 million) washroom in his Hong Kong shop made entirely out of gold and precious jewels. The toilet bowls, wash basins, toilet brushes, toilet paper holders, mirror frames, wall mounted chandeliers, wall tiles and doors are all made out of solid 24-carat gold. The ceiling is decorated with ruby, sapphire, emerald and amber and even the floor to the washroom is embedded with 900 g (2 lb) gold bars. The inspiration for the toilet came from Lenin who in 1921 said that toilets of gold should be built to serve as a useful reminder of the waste of capitalist warfare. Lam Sai-wing sold off the bathroom’s fixtures in 2008 for their melt value, but he refused to see his golden throne melted down. The solid gold toilet, which is all that remains of the jeweller’s splendidly gilded palatial bathroom, is now the property of Hong Kong’s Hang Fung Gold Technology Group. The Wall Street Journal. 7 July 2008.